Live in a place where you can truly live, work and play. This beautiful 4 bedroom townhome is located in the new Village at Riverwalk near downtown South Bend and the St. Joseph River. This unique urban development offers authentic city living with the modern amenities of new construction. Walk to restaurants, parks, biking trails, the region’s best farmers’ market, organic grocery store, Jefferson Street shopping, St. Joseph River and the East Bank art district. Notre Dame and Four Winds Field are just minutes away. 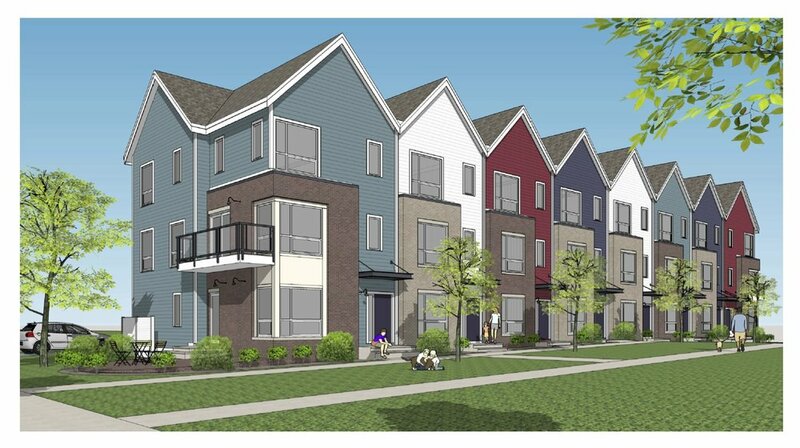 We are taking reservations for Phase 2 of the townhomes- ready in the Spring of 2019. Create your own space that fits your active lifestyle! Award-winning custom homes for more than 35 years. Earning an unrivaled reputation for exquisite craftsmanship, timeless design, and unparalleled quality. Century’s care and quality will shine long after you move into your home and accounts for our hundreds of referred and repeat customers. Timeless design, unparalleled quality and professional guidance every step of the way in tailoring your home to fit your lifestyle. Take Eddy Street to E. Jefferson Blvd. Turn left (South) on S. Frances St.